You love painting your nails and do not know about OPI then you must be living under the rock. OPI have wide range of shades with many finishes. Their quality formula and beautiful packaging is raved among beauty gurus. They have added the Matte Top coat in their range which is very much into the fashion these days. I have got the chance to try OPI Matte Top coat along with mini bright shade nail lacquer. How they turned out for me lets find out. The brand new Matte Top Coat by OPI will immediately transform glossy nail polishes into a transparent matte finish; still providing the sealing protection of the original OPI Top Coat, protecting nails from chips and ensuring your manicure lasts longer. 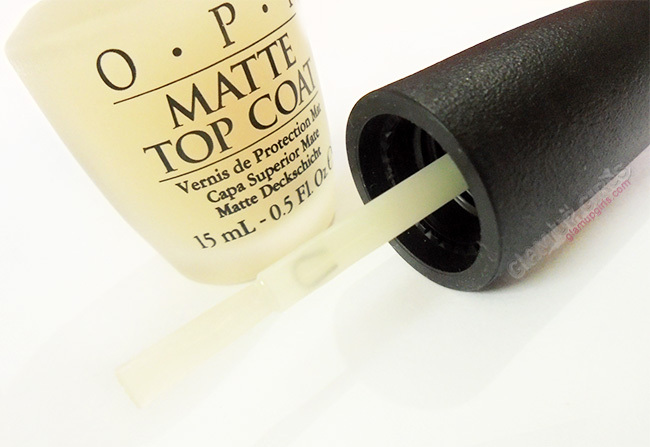 Matte Top Coat is designed to leave the nail with a perfectly smooth velvet texture for an edgy appearance. High-fashion bright shades create look-at-me nails. Whether to complement a bold sense of style or to add a pop of bright and bold color, Brights by OPI has the shades that have attitude and confidence all their own. The packaging of both nail products is almost similar, made of bulky shaped glass with matte black cap. The top coat have however matte glass to complement its formula. Both products have similar brush applicator which is little long then usual nail products and is thin. For some who like their nail paint brush wide might find it difficult to work with but i find it reasonable as it covers the nail in three swipes which you always need with any brush so it is not the big issue. OPI Nail Lacquer in shade 'Do you lilac it?' is beautiful light purple shade. It falls in the category of bright shades. I believe it will compliment all skin tones in all seasons. The formula is thin and applies beautifully. I love how it spread without tugging and streaks. Having thin consistency it still have very good color payoff in one coat which is light but beautiful. In two coats it is fully opaque and gives the exact shade as visible in bottle. The drying time is very good too. In few minutes it completely dries on nails. I suggest always completely dry your first coat before applying second one to avoid streaky look. The staying power looks promising too. I do not wear nail paints for very long but it stays put without peeling, good for more then 3 days. 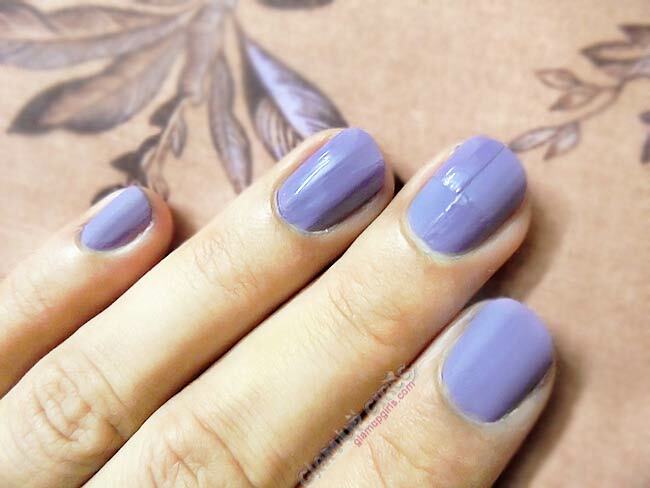 OPI Matte Top coat formula is color less and have thin consistency. The color visible in bottle is may be due to bottle color. The formula applies flawlessly. I loved how it instantly transforms the shiny nails into matte finish. You can even create nail arts while applying this top coat. Just move your brush zigzag or dot etc and you will get beautiful nail designs. Make sure that your nail paint is completely dry before applying this top coat or it will be a mess. As it is a top coat so you can just finish your nail look with this and do not have to apply any additional product. It adds the extra bit of life to your nail paint and make it stay longer and stronger. It does not have any irritating edgy feel to bit but felt like velvety smooth on touching. Only one coat is required to make your nail paint matte and there is no need for second coat but if your feel you need extra coat wait for first one to completely dry. Overall i loved the OPI nail lacquer and Matte Top Coat. Both products are easy to apply, dries fast and lasts longer then other nail products.